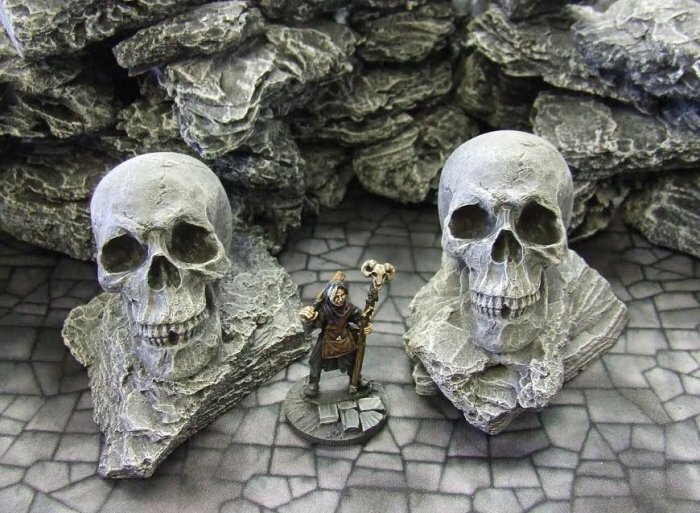 These highly detailed and scale appropriate Rock Skulls will enhance any gaming scenario. The pair of skulls come in various shades of grey highlighting and are mounted on 2 differing rock plinths. The rock plinths complement our various Rock and Boulder Packs.